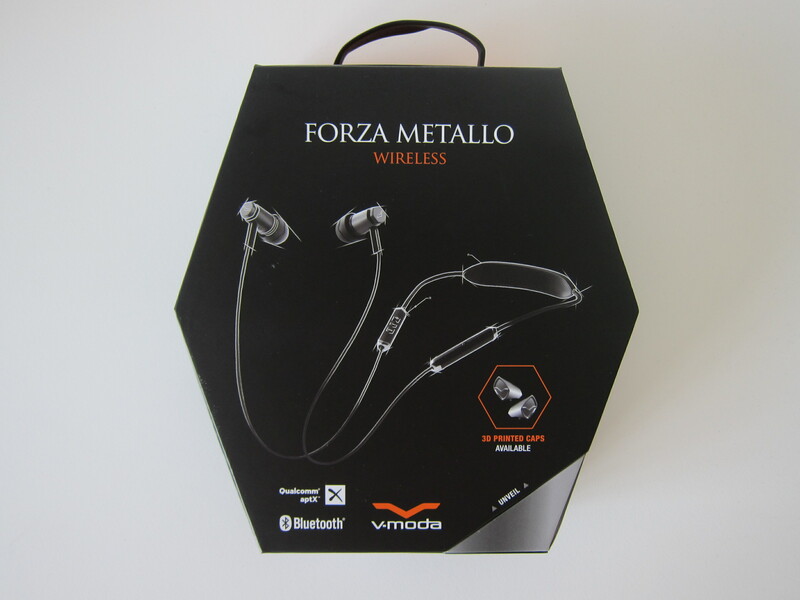 The Forza Metallo Wireless earphones are the third earphones by V-MODA. The first being Forza which retails for S$169, followed by Forza Metallo which is not brought in by semitseasia. 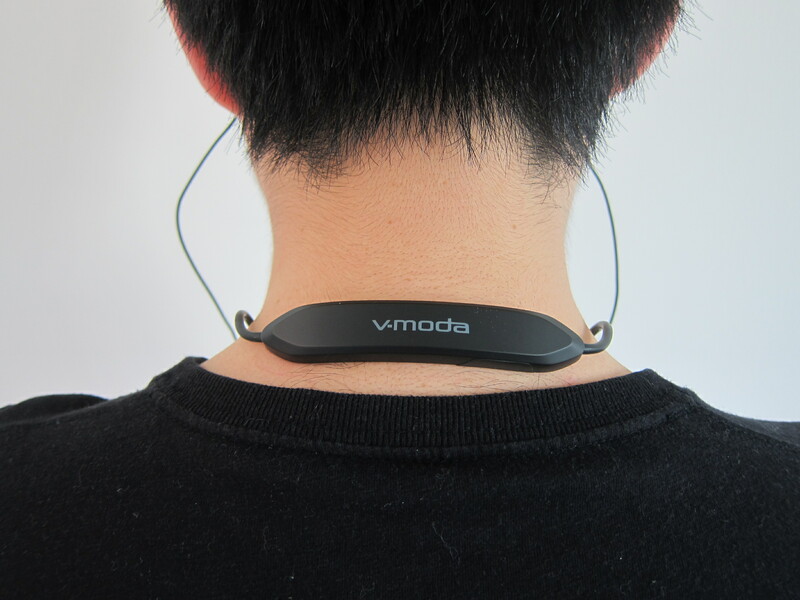 You can use the coupon code LESTERCHAN10 for a 10% discount on any V-MODA products on sg.semitse.com/. 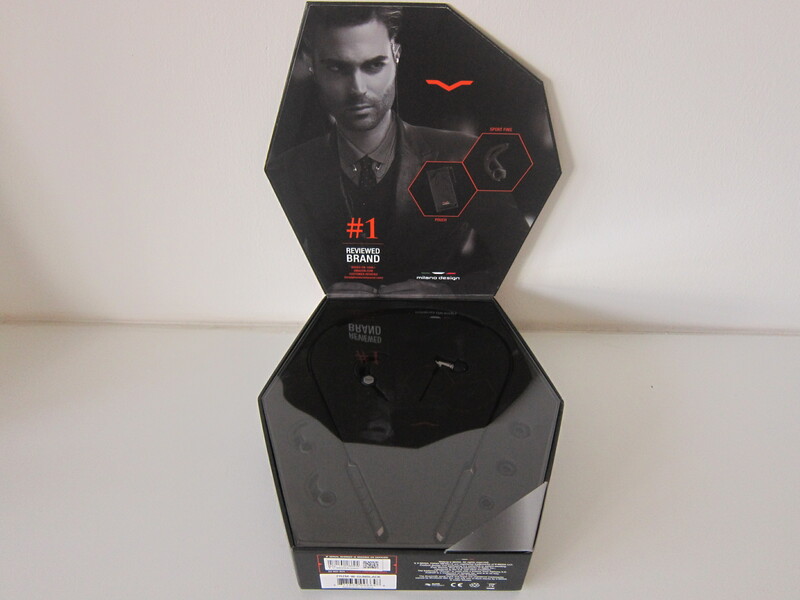 One thing I love about V-MODA products is the premium feel. Just by looking at the box, you will know it is a premium product. There are lots of stuff included in the packaging. 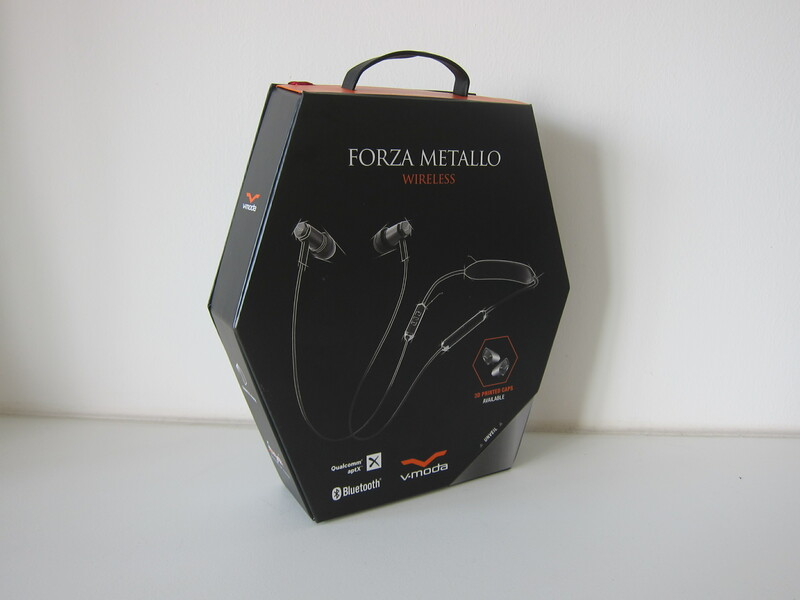 There is the Forza Metallo Wireless with a carrying pouch and two pairs of rubber rings (RemixRings). Not sure why they give me one extra RemixRing in my box as I have five. 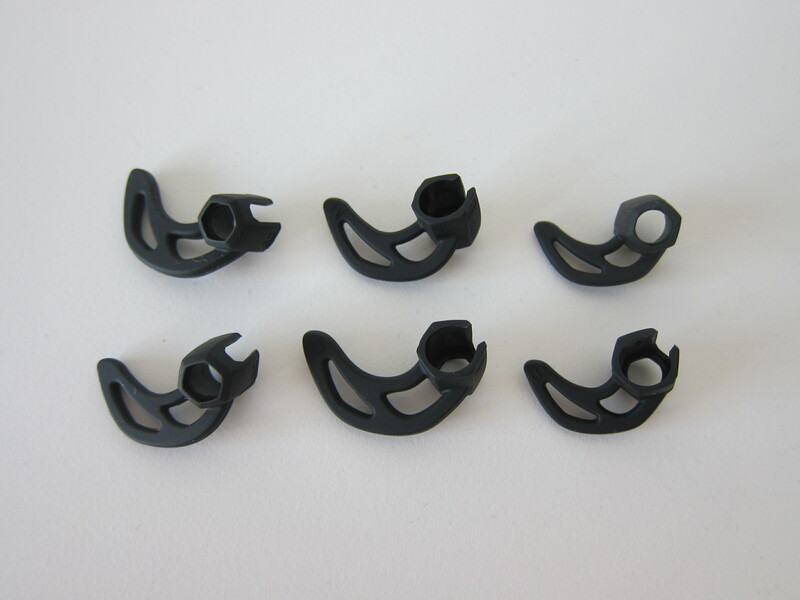 There are eight pairs of ear tips (BLISS) in XS, S, M and L sizes. Two pairs of each size. The S size is pre-installed. 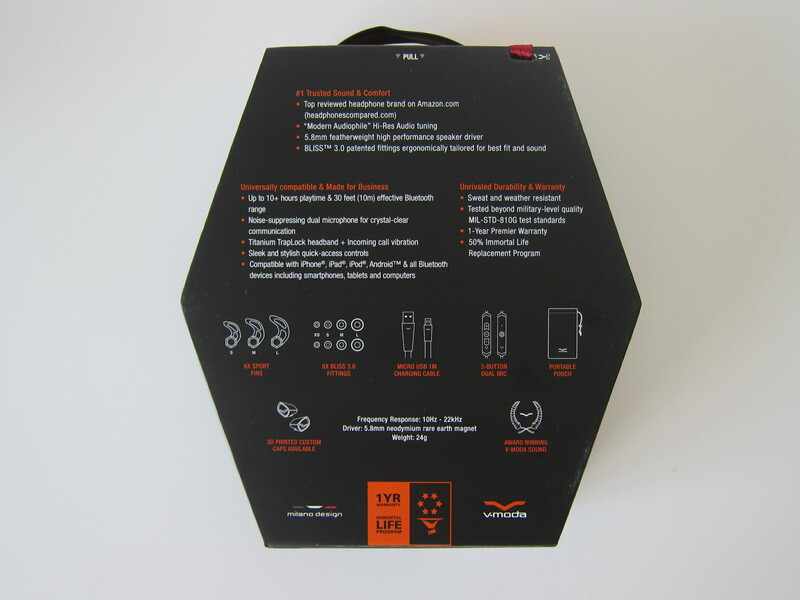 There are also three pairs of sports fins (ActiveFlex). 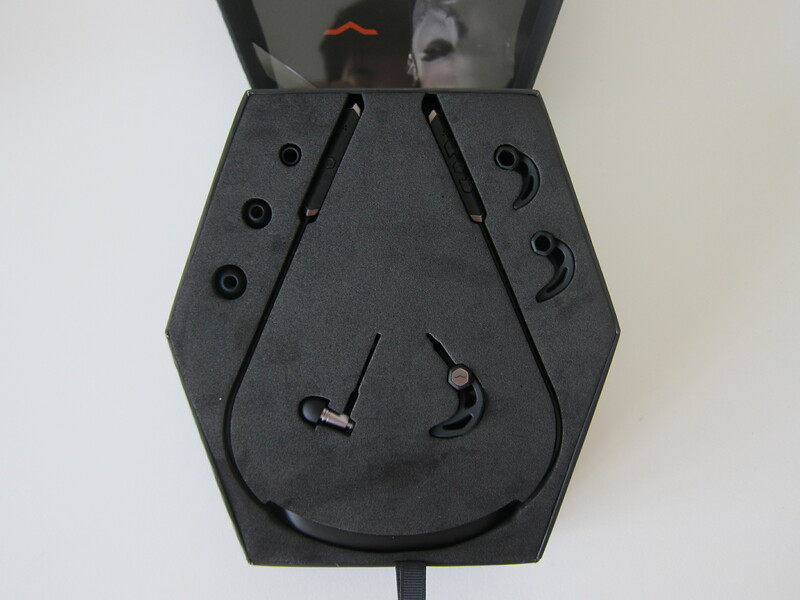 The first thing you will notice about the earphones is the build. It is solid and lightweight as it is made of aircraft-grade aluminum. 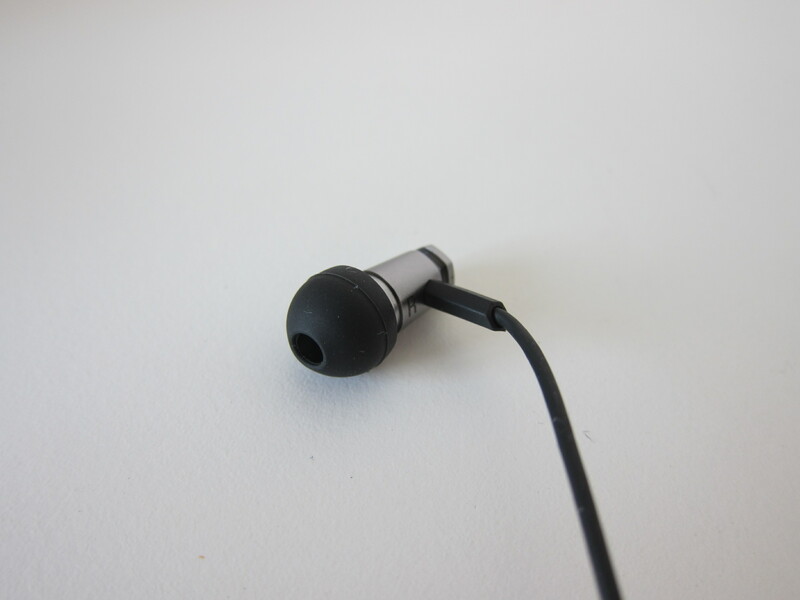 The plastic thing at the back of the earphones is called a NeckBand. It houses the antenna and the battery. When you receive an incoming call, it will vibrate to alert you. This is useful if you do not have the earphones plugged in all the time. 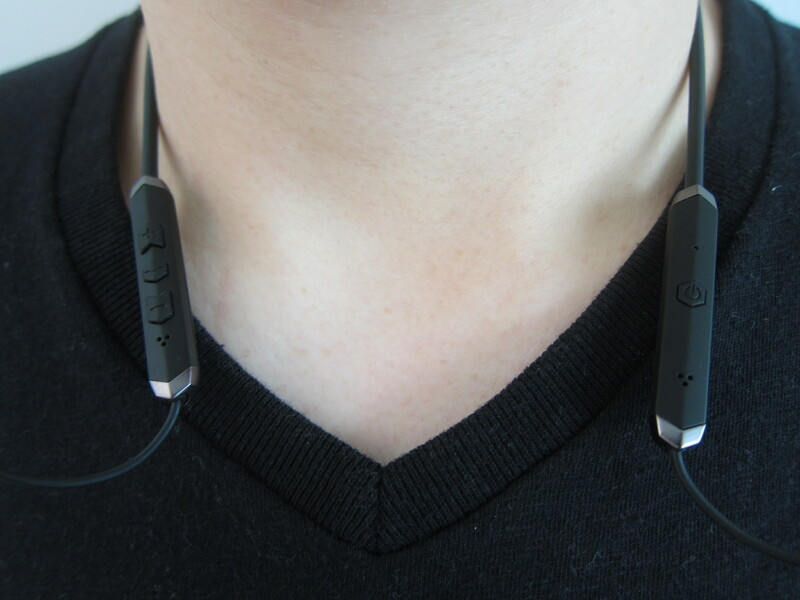 The micro-USB charging port is also located at the bottom of the NeckBand. 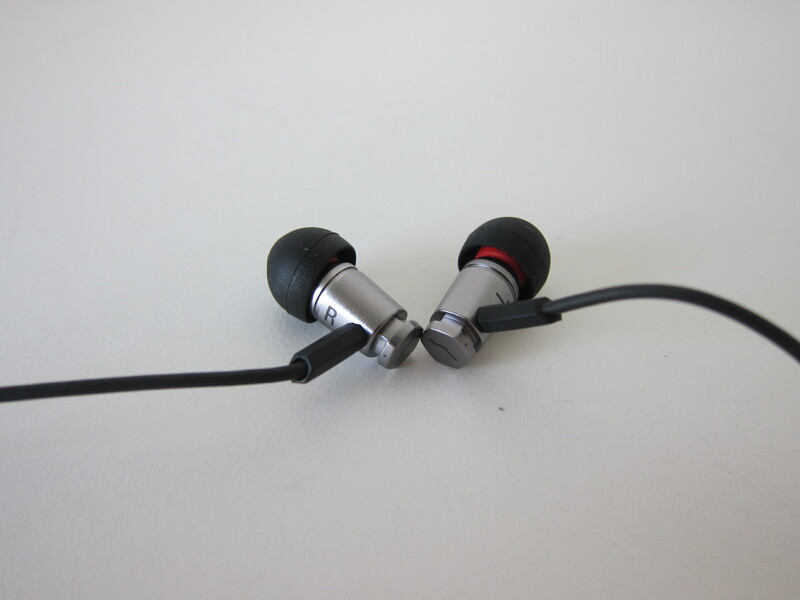 The first thing you will feel when you first wore the earphones is the weight of the NeckBand. It has some weight because of the battery, and there is a use for the weight. 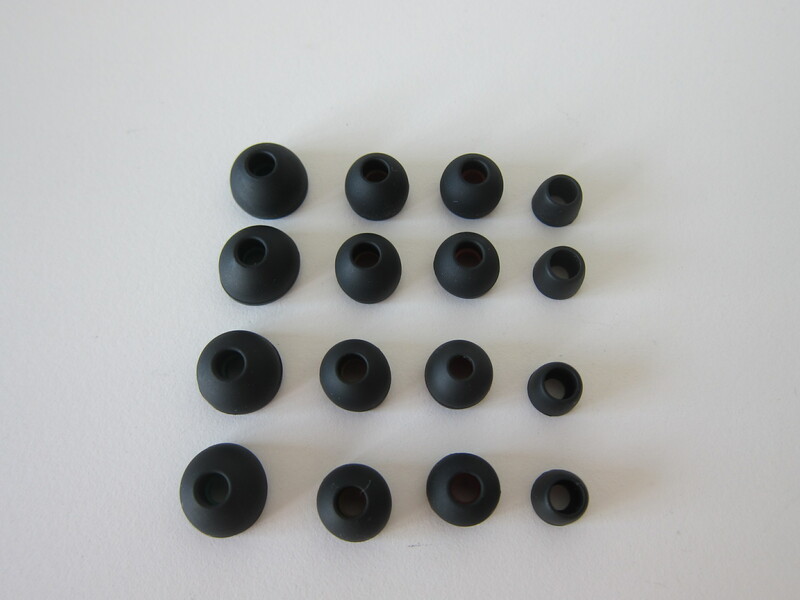 The earphones only weigh 23g, so you do not need to worry about it being heavy. The wire between the remote and the neckband is called the TrapLock. It is made of titanium and is designed to conform to the shape of your shoulders. 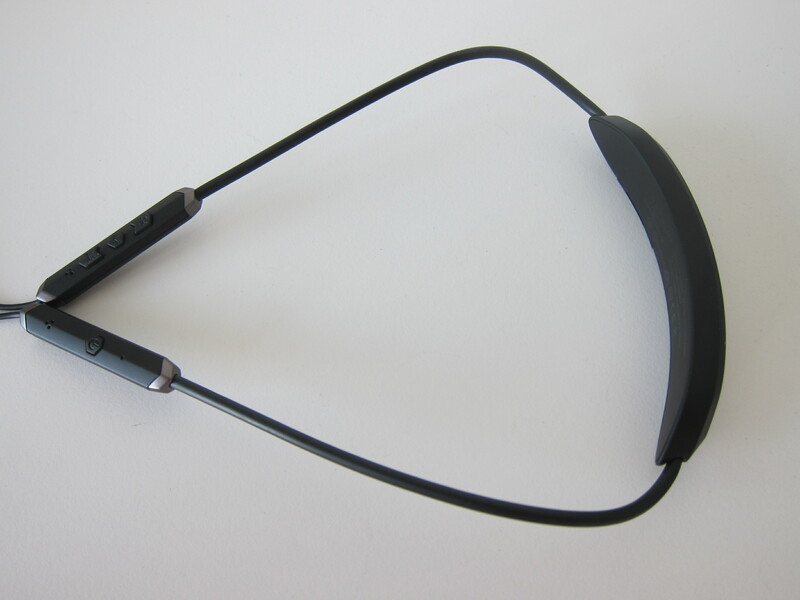 Together with the NeckBand and TrapLock, the movement of the earphones is reduced when you move your head, and that provides better ergonomic comfort. 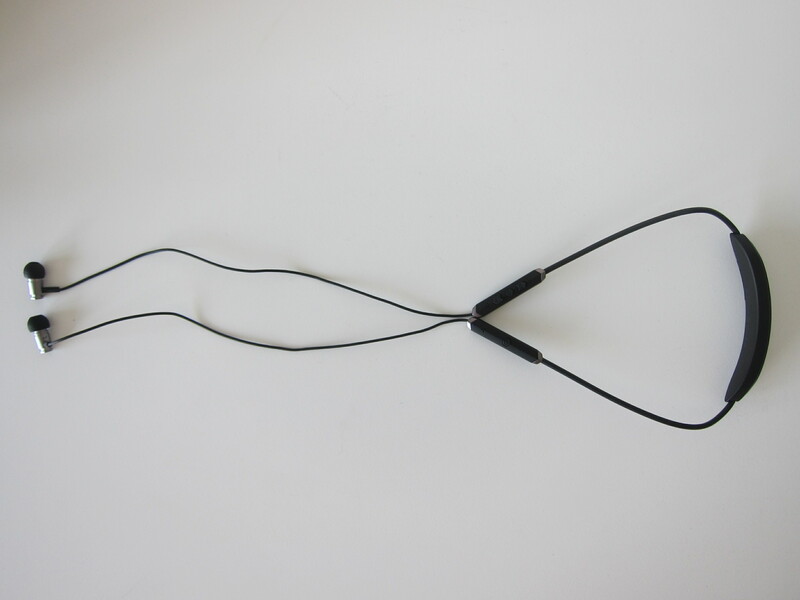 If you have a chance to try the earphones, wear it and move your head repeatedly to the right and left. I was skeptical at first, but it works. 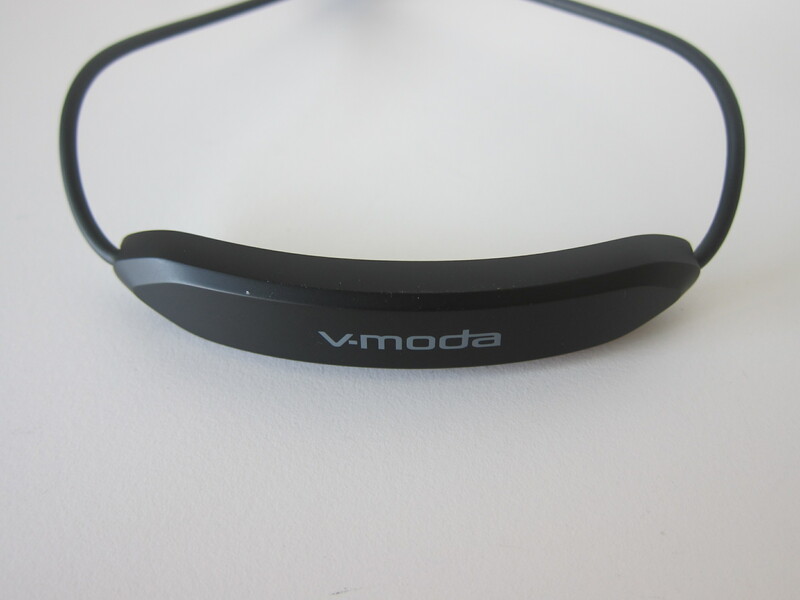 I am very impressed with these two features from V-MODA. 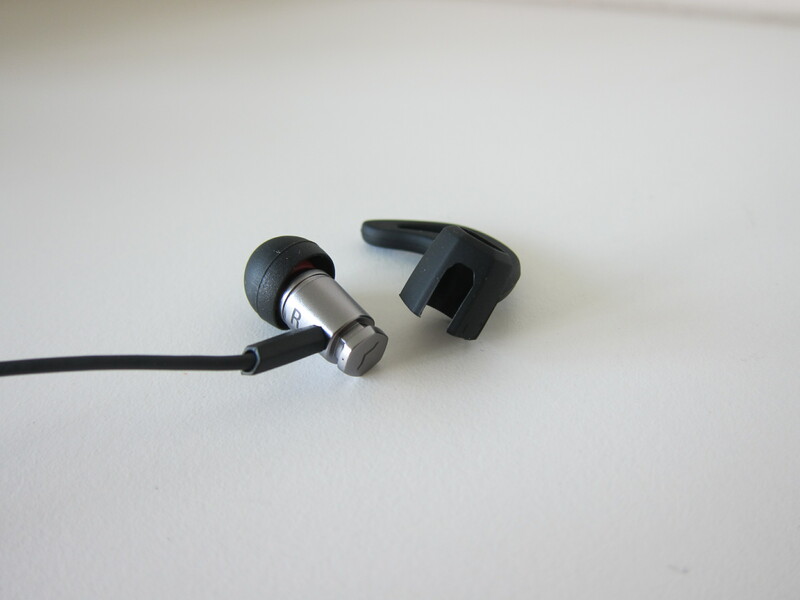 The earphones are sweat and weather resistant, so you can use it for exercising. 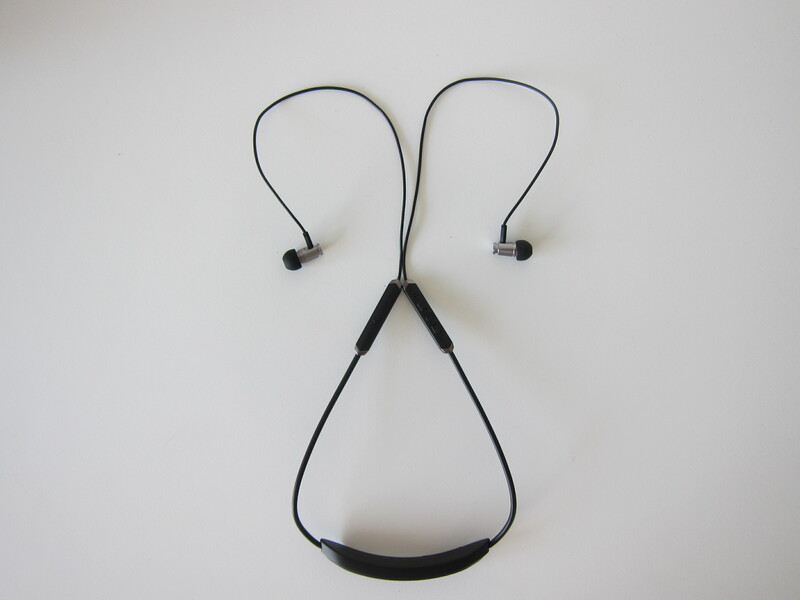 If you are afraid that the earphones might drop out from your ears, you can always attach the sports fin when you are exercising. Interestingly, the microphones and remote control are separated. The 3-button remote is on the right, and the dual noise-cancellation mics are on the left. Also on the left is the power button. 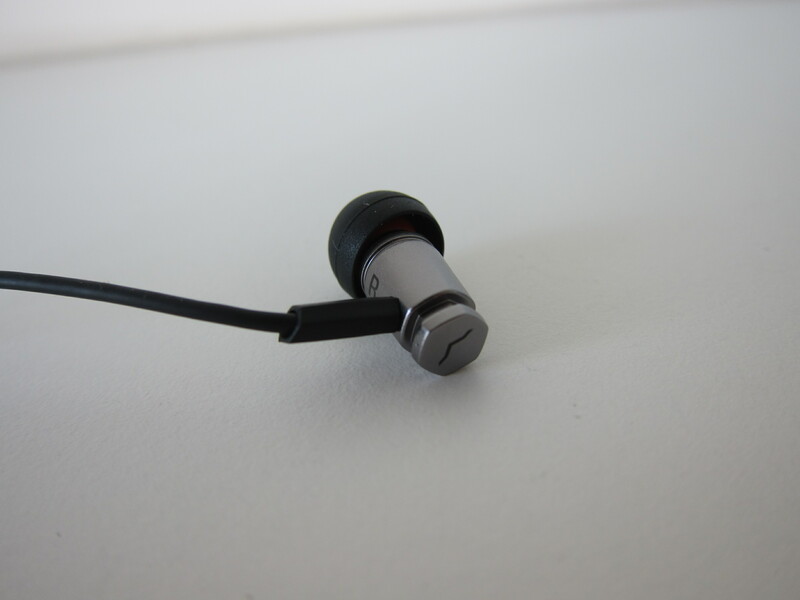 The earphones weigh 23g and feature a 5.8mm neodymium dynamic micro driver. The driver is designed to produce a balanced, vibrant bass with vivid mids and vivacious stress-free highs. 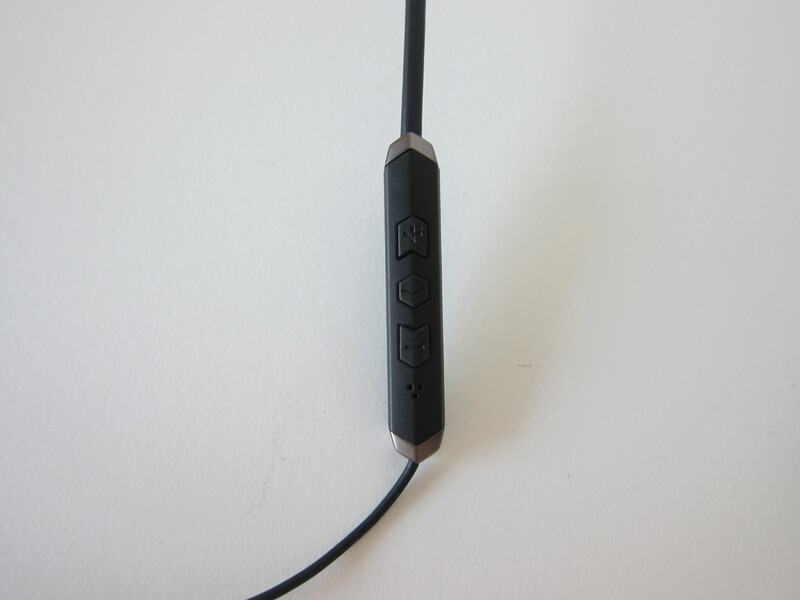 It has a frequency response of 10Hz – 22,000Hz. 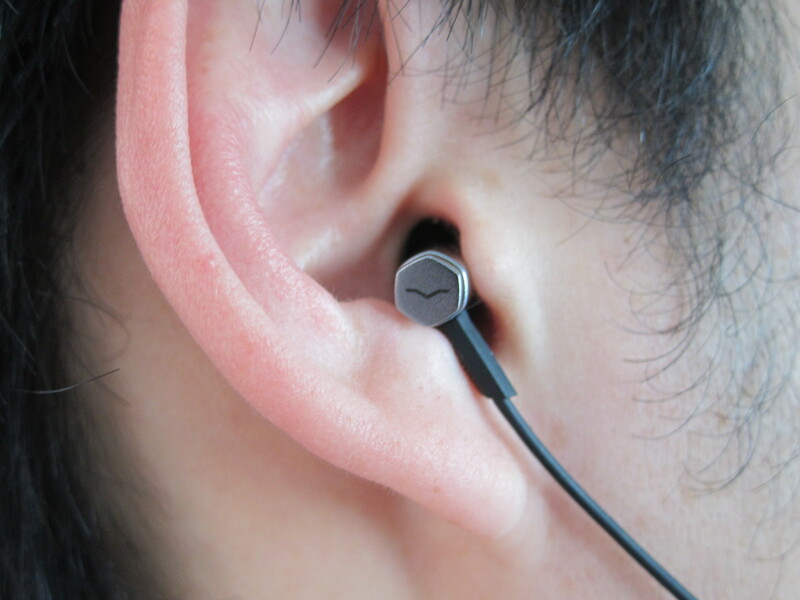 Powering the earphones is a Qualcomm chipset. The chipset supports aptX which is a proprietary audio codec compression algorithms by Qualcomm. aptX gives you near CD-quality wireless audio playback. 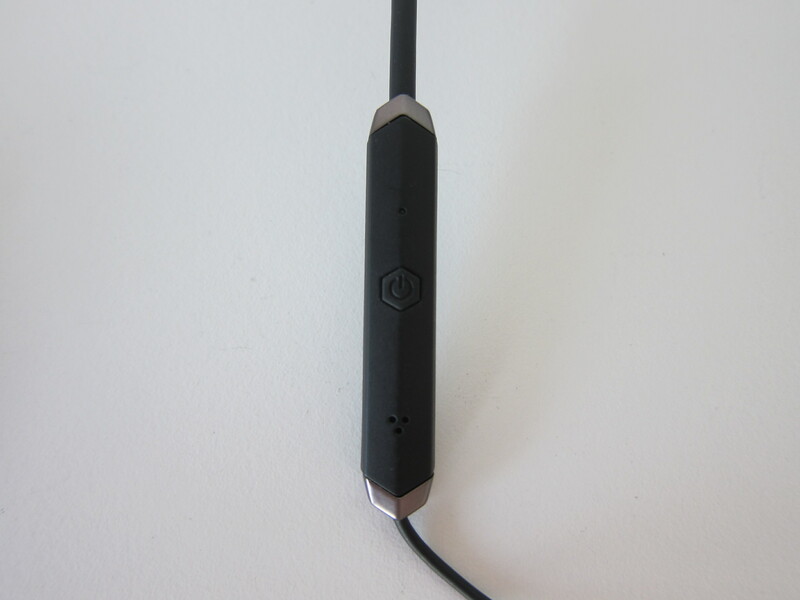 Using Bluetooth, the earphones allows you to pair with two devices simultaneously. A full charge of the earphones can last you more than 10 hours. It supports fast charge as well; a 15-minute charge will give you at least 2 hours of music playback. I always like to emphasize that I am not an audiophile and hence when I use earphones, I only test their bass as I like techno and dance songs. When tested with my favorite song, “David Guetta – Titanium ft. Sia”, the bass is strong, and the punch is good. The bass also doesn’t crack under loud volume. I can’t explain in words since I am not an audiophile and audio quality is subjective. 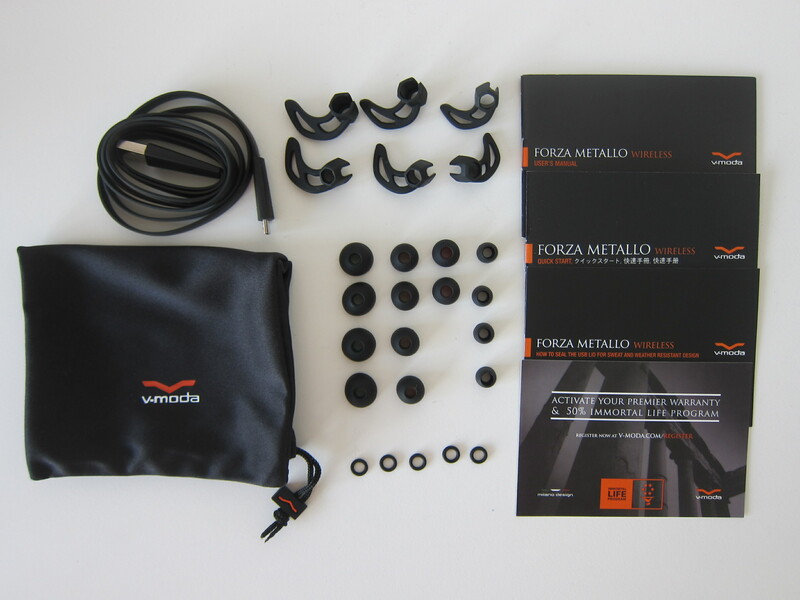 The V-MODA Forza Metallo Wireless Earphones are probably the best sounding earphones that I owned. Personally, I find it produces better sound quality than Sudio and even Klipsch. If you are looking for wireless earphones and have a budget of below S$300, I highly recommend the V-MODA Forza Metallo Wireless earphones. This page is generated on 20th April 2019, 14:58:35 (UTC) in 0.375s with 14 queries using 2.0 MiB of memory.